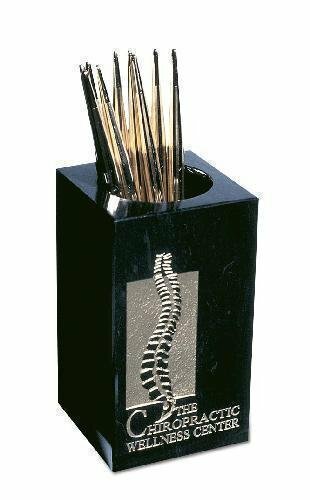 This black marble pen holder makes a beautiful desk accessory. 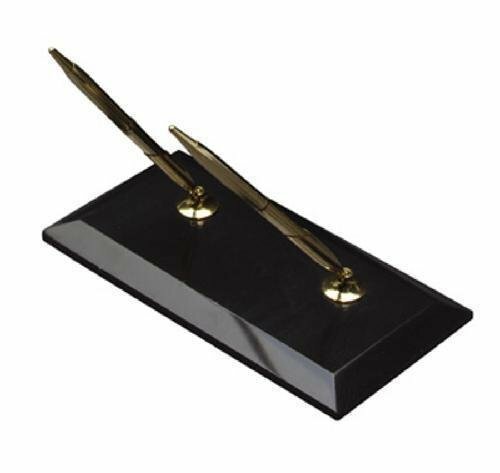 The pen holder can be used as a personalized gift or award of appreciation or accomplishment. The marble is naturally occuring rock and will have small amounts of white marbleing. A laser engraved black brass plate with a gold border is included. This single pen is mounted on a black marble base. Use this beautiful desk accessory as a personalized gift or award of appreciation or accomplishment. The marble is naturally occuring rock and will have small amounts of white marbleing. A laser engraved black brass plate with a gold border is included. Size: 3 ? x ? x 2 ? Eng Area: 2 ? x ? 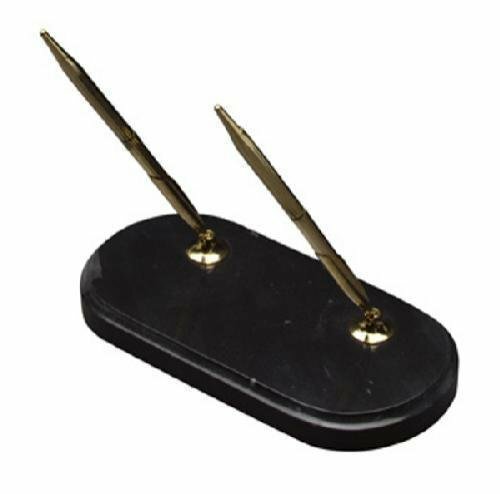 This double pen set is mounted on an oval black marble base. Use this beautiful desk accessory as a personalized gift or award of appreciation or accomplishment. The marble is naturally occuring rock and will have small amounts of white marbleing. A laser engraved black brass plate with a gold border is included. Size: 8 x 3/4 x 4 Eng Area: 4 x 1 ? 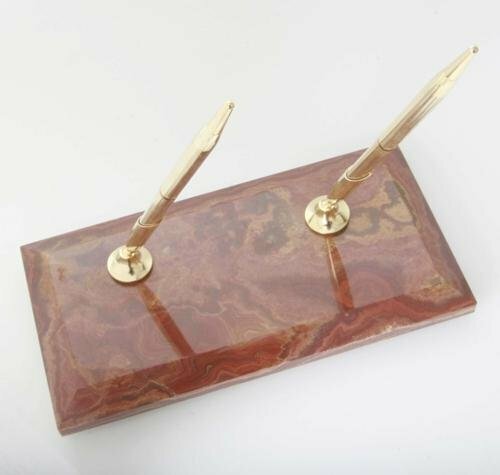 This swirl amber onyx pen holder makes a beautiful desk accessory. 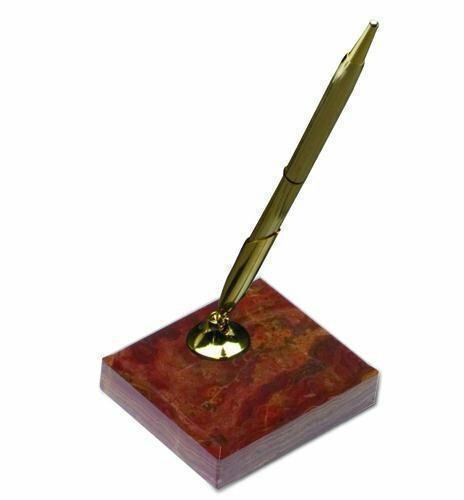 The pen holder can be used as a personalized gift or award of appreciation or accomplishment. The marble is naturally occuring rock and will have small amounts of white marbleing. The marble is laser engraved and color filled. This single pen is mounted on a swirl amber onyx base. Use this beautiful desk accessory as a personalized gift or award of appreciation or accomplishment. The marble is naturally occuring rock and will have small amounts of white marbleing. The marble is laser engraved and color filled.